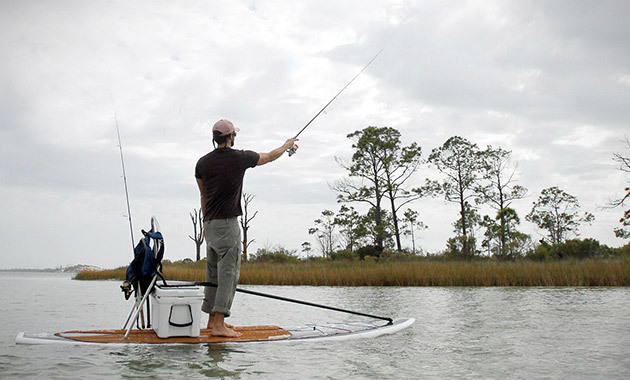 Free yourself from the constraints of a standard fishing boat and get in the water with a Bote SUP Skiff ($1,400). These 12-foot, stand-up paddle boards can please even the most avid fisherman, equipped with a slip-resistant deck pad, 10-inch carbon fin for stability, a leaning post and 5 rod holders to . The SUP Skiff also comes with an included full-length carbon fiber paddle and an optional 35-quart YETI cooler to store your catch, snacks and beer, and use as a seat.